When you place an order, we require input from you, including your name, e-mail address, billing address, and credit card number information. This information allows us to process your order, and to notify you of your order status. Credit card numbers are only used for processing payments. When you place an order, your information is protected by our secure server (SSL) technology, which encrypts all of your information before it is sent to us. Furthermore, all of the customer data we collect is protected against unauthorized access. We use EFTSecure’s strongest (128-bit encryption strength) secure certificates to ensure that your information cannot be seen by unauthorized individuals. What are “cookies” and are they safe? “Cookies” are simply small pieces of information stored by your browser on your computer’s hard drive. The job of cookies is to help better personalize your visits to our site by “remembering” certain things, such as your preferences, etc. For those worried about privacy or security issues, cookies do not compromise privacy. The data – stored on your hard drive in a file or folder called “cookies” – can be deleted if you so choose. Cookies created by one site will only work with that specific site, so another site cannot read cookies they have not generated. Most Web browsers automatically accept cookies, but you can change your browser to notify you about them, so you can choose to accept them or not. Our site relies upon cookies to identify you and provide you with a personalized experience. Refusing cookies will seriously limit your ability to access some of the content and/or functionality of this site. 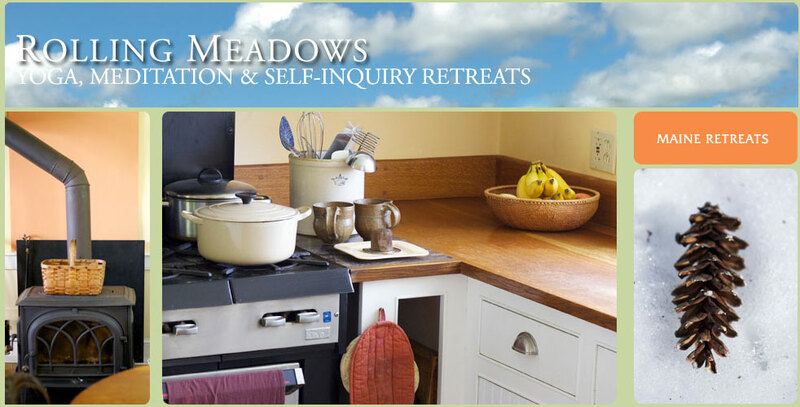 Rolling Meadows Retreat does not sell, trade, or rent your personal information to others. We will not disclose to any third parties, for marketing or promotional purposes, personal information disclosed by you.